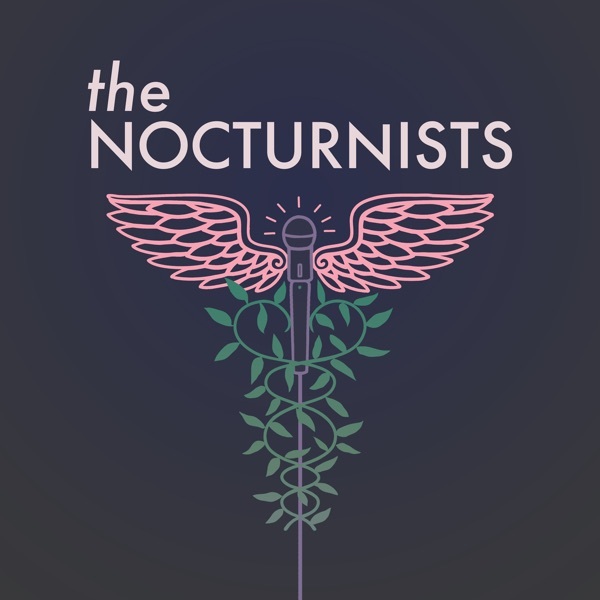 The Nocturnists is a live show and podcast where health professionals tell stories from the world of medicine. Based in San Francisco and hosted by physician Emily Silverman, our show is animated by a deep-seated curiosity about health, disease, and human connection. Welcome to the family. When caring for a young woman with a new brain cancer diagnosis, medicine resident Colleen Farrell comes to grips with her own mortality. Books referenced include Noonday Demon by Andrew Solomon. You can find the poem "Intensive Care" by Jane O. Wayne here. Original theme music by Yosef Munro. Other music comes from Blue Dot Sessions. Check out our website at thenocturnists.com. We invite you to support us with a donation here. You can also make small, recurring donations through our Patreon page. Hospitalist Peter Barish recounts an intense, intimate moment with a patient. Learn more about Ladybird here. Michele DiTomas, a hospice physician who cares for incarcerated men, races against the clock and slashes through bureaucratic tape to help a dying man go home. Learn more about the U.S. criminal justice system on the ACLU's website. Emergency medicine physician Joe Sills panics when the patient he has just pronounced dead regains a pulse. The article mentioned in our conversation, "What Does It Mean to Die?" can be found in The New Yorker. We invite you to support our work with a donation here. You can also make small, recurring donations through our Patreon page. For more about emergency medicine, visit The EM Over Easy Podcast. Season 2 of The Nocturnists, hosted by physician Emily Silverman, launches on Tuesday, March 26th. Illustration by Lindsay Mound (https://lindsaymound.com/). Original theme music by Yosef Munro (http://munro.media/). Cardiologist Dhruv Kazi recounts the heart-stopping tale of an emergency medical encounter in North Korea. Hospital administrator Galen Laserson recounts the time she got an unexpected call in the middle of the night, which prompted her to learn all about the hospital's underbelly and the logistics of death. This week, you also have the opportunity to listen to Galen's story on Snap Judgment from WNYC. Also catch Emily on The Short Coat Podcast and House of Pod earlier this month. The electronic medical record and a list of to-dos distract family medicine resident Milana Pebenito from her patient's impending death. Hospitalist Meghan O'Brien recounts the frustration of caring for a homeless patient who would rather be on the streets. Grant Smith, chief resident in internal medicine at UCSF, recounts the story of his first code blue. In the hospital, pediatrician Dana Gal struggles with a young patient who asserts her autonomy in ways that are frustrating, and even dangerous. Hospitalist Ann Knapp navigates her own doubts and assumptions when her patient, a ninety-year-old man, states he wants to die -- today. Sirisha Narayana, a hospital medicine physician, discusses her strong identity as a physician, and how it collided with her other identities, until one of her interns made a simple observation in the hospital. Ben Lerman, an emergency medicine physician, describes how his ability to empathize with his patients deteriorated throughout his medical training, and how a chance encounter with a patient outside the hospital helped set him back on track. Special thanks to Leon Morimoto. The Nocturnists, hosted by physician Emily Silverman, debuts soon!